Try This: Color Engineer Prints! So, as far as inexpensive wall decor goes, this is a game changer. I just about fell off my chair when I saw that you can print those giant engineer prints from Staples in color now! Whoa. I have used the black and white engineer print option for so many things from party decor to large Photo Booth prints, so I’m pretty ecstatic to be able to have a color option as well. Now, I do have to mention that there are a few caveats to this amazing news. First, not all Staples have the machine to do this yet (I had to call around to find one near me), and second, you can’t print a full color photo. By that I mean that they will only let you print a photo that has 30% of the image in color. 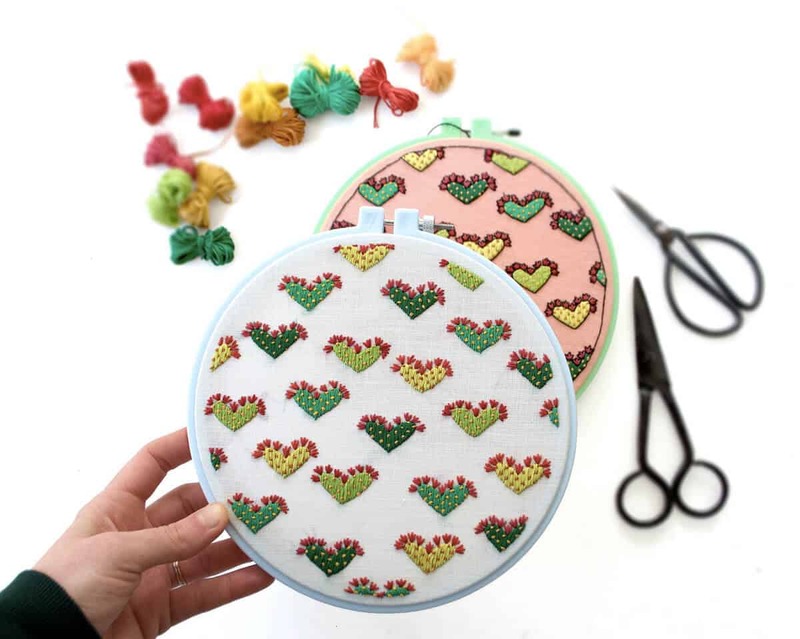 Once I heard that restriction, I had to switch gears a bit and choose a photo that had a lot of white space around the colored image (like this adorable downloadable pineapple print from our good buddy Sarah Rhodes—love her!!). They didn’t bat an eye when I gave them the file to print, so I have a feeling that rule isn’t always strictly enforced (and I’ve seen a few of other people’s prints that had the whole page in color). Anyway, try a full color image first if you want since you may get lucky. Just be prepared to have that restriction thrown at you. So have a backup image just in case. I like to use Photoshop first to size up my photos to the final printed size to make the image as clear as I can (use the best resolution and largest size photo you can for best results). To get the best quality engineer print, open the picture in Photoshop and go to “Image” and then “Image Size”. Your photo will probably be at 72 dpi, but we are going to slowly increase the resolution to 300 dpi so you’ll get a clearer print when you print it much bigger. Change your image resolution by slow increments of 10% at a time. So if you start at 72 dpi, you’ll want to change it to 79, click “OK,” then change to 87, click “OK,” then 95, click “OK,” then 104, etc., until you reach 300 dpi. Once you have the correct photo resolution, you can resize the dimensions of the photo to its final size (most blueprints will print up to 36″ wide, so that’s what I sized mine to) in 10% increments as needed. Save the photo on a flash drive and take it to Staples to have it printed. If you don’t have a photo editing program like Photoshop where you can resize the photo, you can still have it printed at whatever size you want at the store, it just may be a little more pixelated than if you resize it first. Finally color prints!! Thanks for this update, can’t wait to get new prints for decorating the house! Tell me about the frame! Did you make it? Curious as to why you need to increase the dpi in increments of 10. Can’t you just jump from 72 to 300? I know it takes a few minutes to do that, but it seems like it would take a lot longer to resize by 10 dpi dozens of times. Love the pink wall – what paint color is it? This is a game changer! Totally doing this for some room decor in our new house when we move next month! Ah! SO exciting!!! I’ve never tried the engineer print hack out because I tend to print most stuff in color so thanks for the heads up! Also curious about this! Thanks! Love this! Also, where are those two accent tables from?? Did you make that frame? If so what did you use to mount the picture on as well as the frame? THANKS! Such perfect timing on this! I’ve just moved and have been looking for something bright and fun for my bedroom wall! Can’t wait to check out all the options! Aaaah this is so cute! Thanks for sharing. That pineapple print looks so cool, would be perfect for my kitchen! Please, please, please! Pink is my FAVORITE color! What is the name of this pink wall paint???? Yes! What’s the pink paint color? Only $10 for that print?! That’s amazing! Some prints are so expensive to buy, so this is definitely a more affordable and creative option. I just tried it both ways and the resolution is no different if you step it up slowly or just jump once. Laura, what’s the theory behind? Hi Laura, love this idea. What exactly is an engineered color print? Is it different from any other blown-up picture? I also would love to know the wall color. I am looking for a great blush pink for my daughters room. LOVE this so much! We’ve been in our “new” house a year and I still haven’t hung art in most of the rooms yet…a little DIY project like this is just the thing to get me moving! I love this! I had no idea Staples was doing color engineering prints, but it’s a total game-changer! I made a few B&W engineering prints for my apartment, and it was such a low cost way of printing my photos at a large scale (I’m a photographer/designer). Just a pro tip – you can’t “invent” pixels – as you mention in this post. If it’s a low resolution image, it’s a low resolution image. If you’re working with a 72 dpi image that started out at 11″, you can’t blow it up to 24″ x 36″, don’t expect it to be a clear image. It will be pixelated. For the purpose of engineering prints this look might be ok (as the blueprints can have a sort of not-so-crisp feel anyways), and you can probably get away with printing at 150dpi. However, if you start with a HUGE image (like the size of a wall) that is at 72 dpi, and work with the right ratios, you can end up with a true 300dpi image. Also, I don’t know why you would have to resize in increments. I’ve been using Photoshop as part of my job for 10+ years and have never heard of this… Can you explain? Not trying to hate on the project btw (I really love it), that pineapple print is THE CUTEST!! Just offering some insight in terms of best practices for printing/getting the results you hoped for. Wouldn’t want someone to work hard (and pay for) creating a print, and end up with a less than beautiful mess! I took a graphic design class and not once were we ever taught to do it slowly. Just at once because it’ll take a few seconds for it to process either way. I’m also a photographer and work in Photoshop and go from 72 to 300, without increments, and my photos still print with excellent quality. That is amazing – I had no idea they would let you print color engineer prints now! The pineapple is a great choice. If they restrict the amount that can be color, it would be fun to do a black and white bolder abstract that has just one area of color in it. Thanks for this info! This is great! Can you tell me where you got that table/buffet/cubby? It’s so cute and would look perfect in my entry way! I am also curious about this because as a graphic designer I can say that this is not a common teaching. i just did this for my new place, and i LOVE it! i had it made up about a month ago, and i still get SO happy each and every time i see it- especially knowing how inexpensive it was! Love the pineapple print.. Really makes the space..
Ha ha! Obviously different people have different preferred ways to do this, but this was the method that I was taught. The thinking behind it is that it is easier for it to do the small increments more cleanly than all at once, but if you like the results from doing one bug jump, then save yourself some time! Good tips! I was taught to resize photos that way with the idea that it can handle the jump better in smaller increments, but if you get good results with one big jump, then that’s cool too! I once tried in Germany, where I live, to get engineering prints of photos printed. I didn’t find a copy shop doing so. Do the people at Staples print your photos without discussion nevertheless? I have to find a way to make someone print a photo for me as an engineering print! This is such a cool idea. I also like doing this with smaller frames, cutting the picture into sections and hanging the small pieces together. We love sharing ideas like this with our hosts on our blog, we may give this a quick mention if you don’t mind! Thanks for this latest update. I am really excited after reading this, will definitely get this done for decorating my house.Also loved your wall color. can you just sell my a copy of that pineapple and that would make my life easier. This is super cute! I am thinking about printing a couple, and I am wondering how thick the paper is that they use? I’d like to hang the prints using wooden pant hangers/clips, but is the paper too thin that it will just roll up if I don’t attach it to the wall at the bottom? Thanks! Hello! I’ve done a bunch of black and white prints from Staples…but when I printed color, it turned out a little odd. Resolution and quality were more than they require…and I sent it in CMYK and RGB…but the blacks and shadows always turned out weird. Any tips? Is there a color profile from Adobe I need to export in? This is a great way to decorate on a budget! Super cute room. Also, I just thought I should throw out GIMP as an alternative editing program. It has the functionality to do what is needed and it is free to use! I tried this and it worked out beautifully! I was able to submit an image for full color printing to my local Staples store via their website and pick it up the same day. Downloaded a free trial of Photoshop just for this project. Thank you for the tutorial! Sadly my local Staples will no longer print words or pictures on engineer prints anymore! Going to try Office Max next. Fingers crossed!